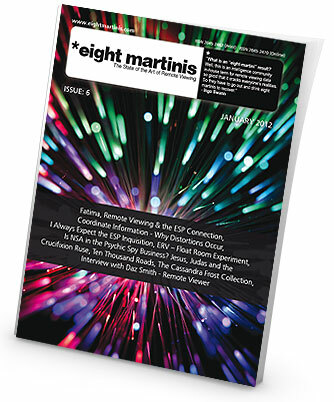 Eight Martinis – Issue: 6 January 2012. The sixth issue of eight Martinis comes in 52 pages, packed with great articles on all aspects of remote viewing, links, news, theories and remote viewing examples. PreviousPrevious post:eight martinis – issue 6 – remote viewing magazineNextNext post:Remote Viewing – is defined by its protocols – period!